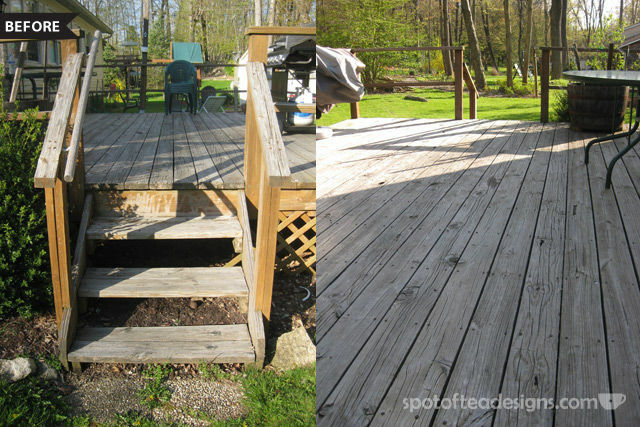 You’ve seen my sister and her handy hubby redo an outdoor bench and their kitchen floor. 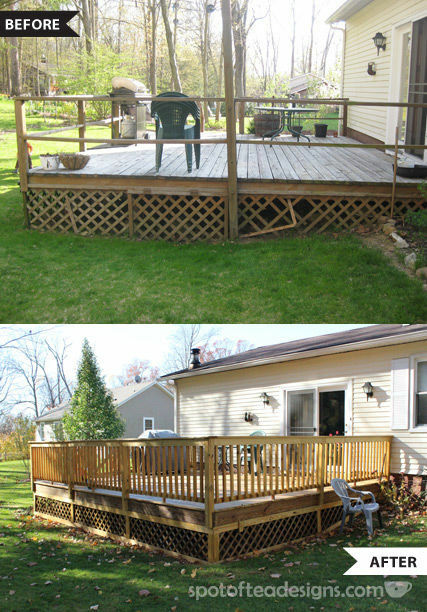 Now they’re back to show their deck makeover worked on this summer and finished this fall! Take it away, George! 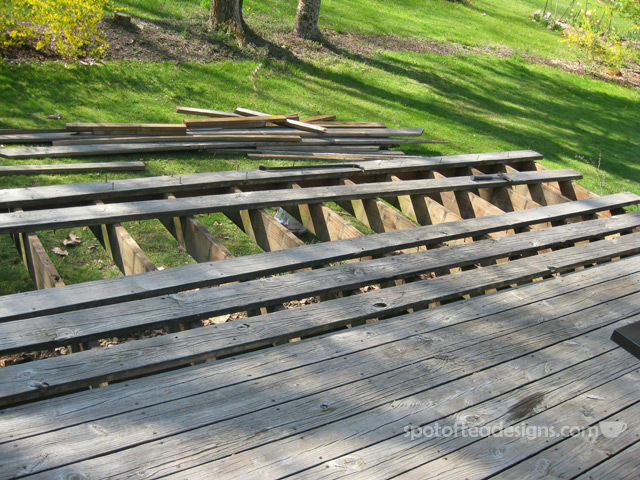 We had a old deck that was not safe for our kids due to poor railings. 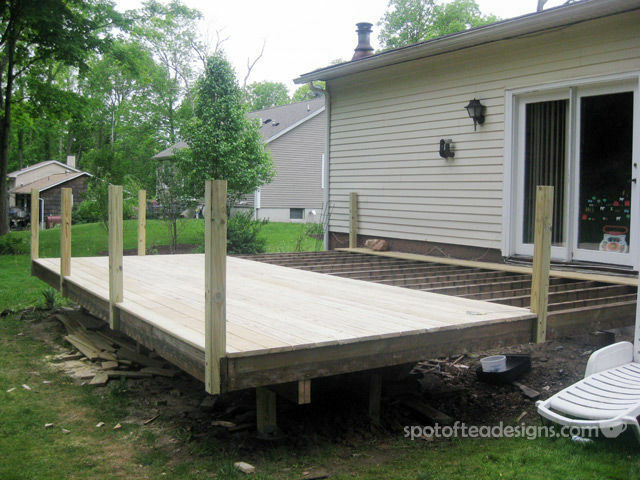 The deck was also starting to settle in to the ground due to improper footings. It needed new stable steps and an update overall. 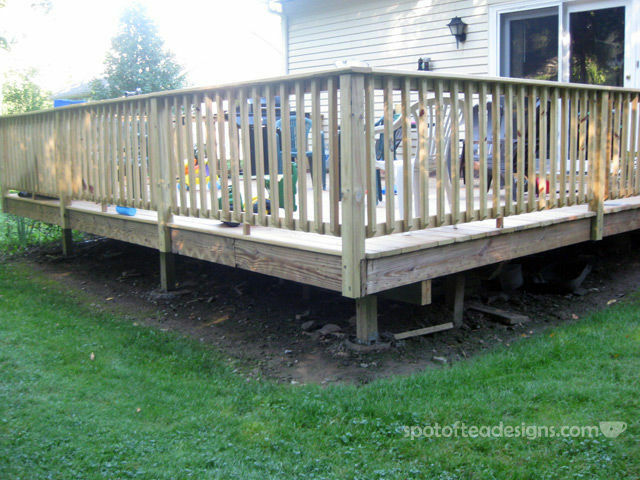 First, we removed all old decking, railings and steps, but left the framing. 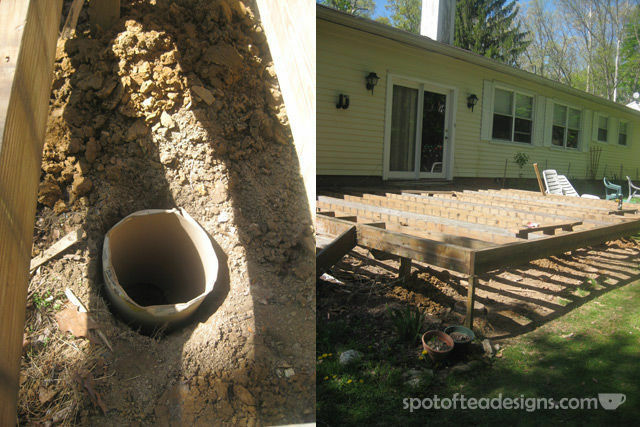 Next, we dug 6 new footings, each 36 inch deep. 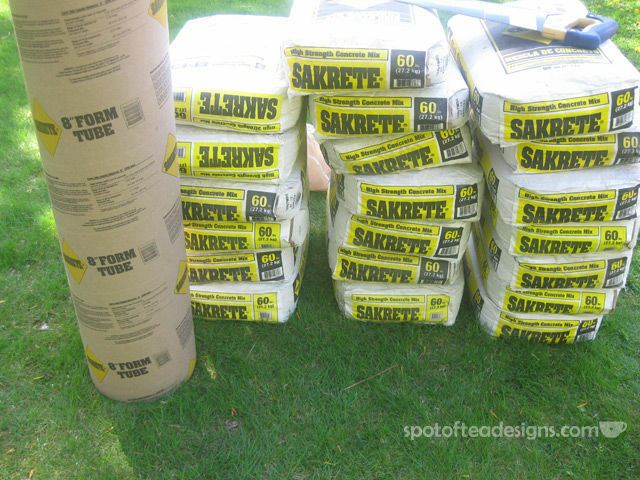 We installed sonnet tubes and poured concrete. 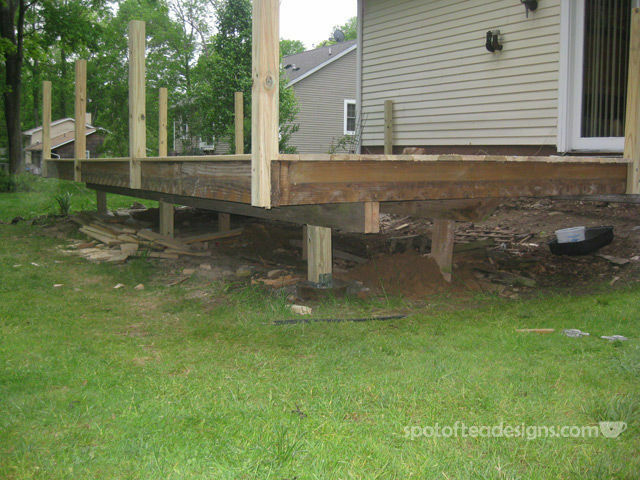 We installed two new girders and sistered all existing framing to beef up the deck. 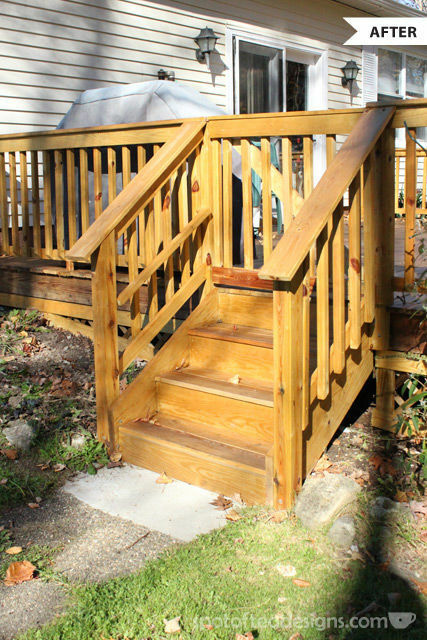 The we added new pressure treated decking, railings and steps. 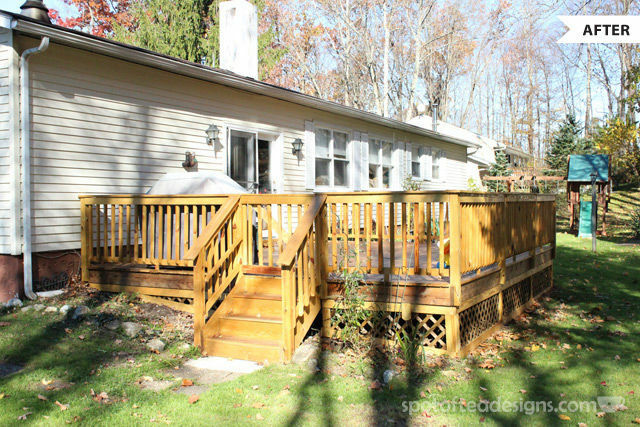 We waited 2 months for the wood to dry out, then stained the deck with a natural sealer. 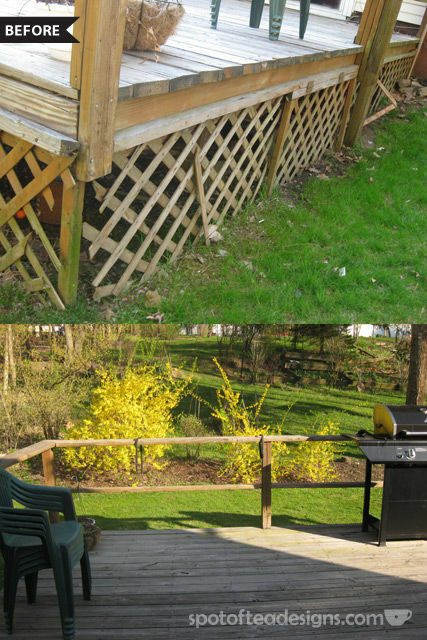 Finally, we added picture framed lattice underneath and our new deck space was done! 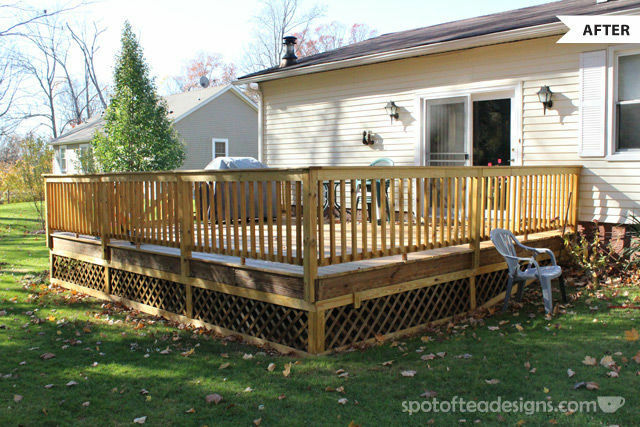 And here you can check out their safer, more stable and beautiful outdoor deck space. Great job George!